Disclaimer: We are affiliated to some of the companies that we mention in this article. We may, therefore, get paid should you decide to sign up using our links. Editors Note: Check out the table below for some of the best online review platforms that can be found out there! Provide you with a table showing some of the best online review platforms that can be found out there. Give you two alternatives to these companies. Ask around, and you will discover that Yotpo is pretty much one of the powerhouses, as far as online reviews. So, how does Yotpo compare to Bazaarvoice? A major challenge with Yotpo, when it comes to pricing is that the company does not actually list its pricing model on its website. Visit it now, and you will notice that the company offers the free plan and the Premium plan. 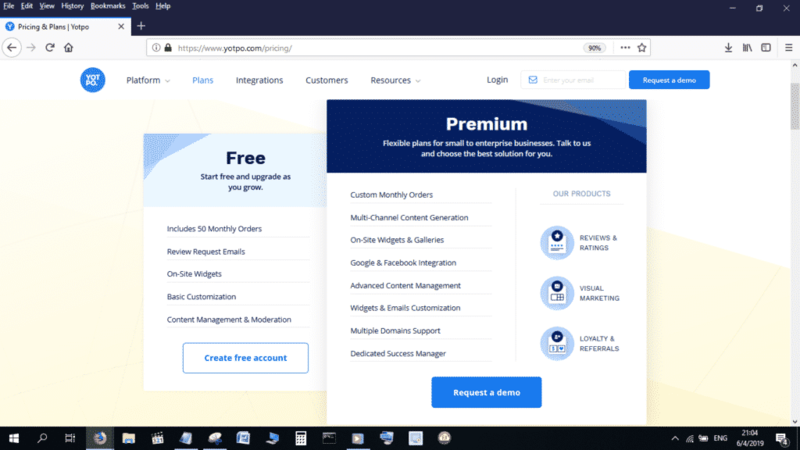 According to the company, cost for the Premium plan is going to depend on a number of factors, including your business’ monthly order volume, its domains, its products and its traffic. This model, depending on how big your business is, can either be great or totally unfair. Small players, as an example, need to have a good idea of what a product or service is going to cost before settling down to negotiate. Though you may think that the above mentioned scenario with Yotpo is bad, wait till you head over to Bazaarvoice’s website. The company does not even have pricing plans for its products and services! Now, the fact that the company has business with such companies and Unilever and Pepsi probably means it is big enough to forgo such trivialities. Unfortunately, this probably also means that it is way beyond the reach of small players! If you are willing to try these guys, head over and you are likely to get your buck’s worth. 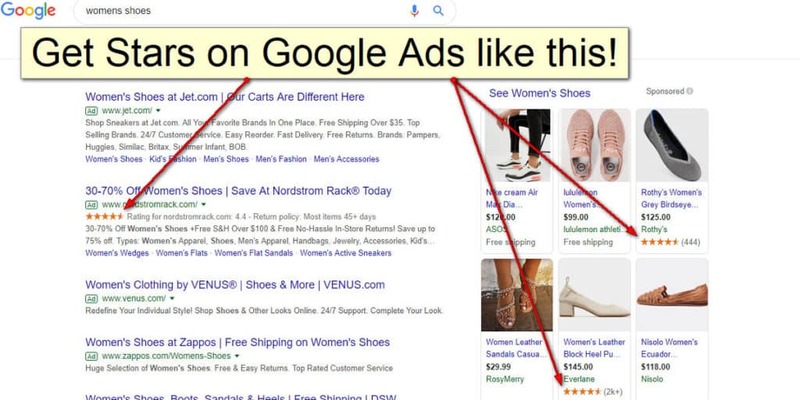 One of the major reasons for getting online reviews is so that you can get star rating extensions in Google Ads and in Google Shopping. Product and Seller ratings are a good way through which you can boost you online visibility. If this is what you are looking for, then the good news is that both Bazaarvoice and Yotpo will get you star ratings. As you can see in the above screenshot, they are both licensed to syndicate Seller ratings. 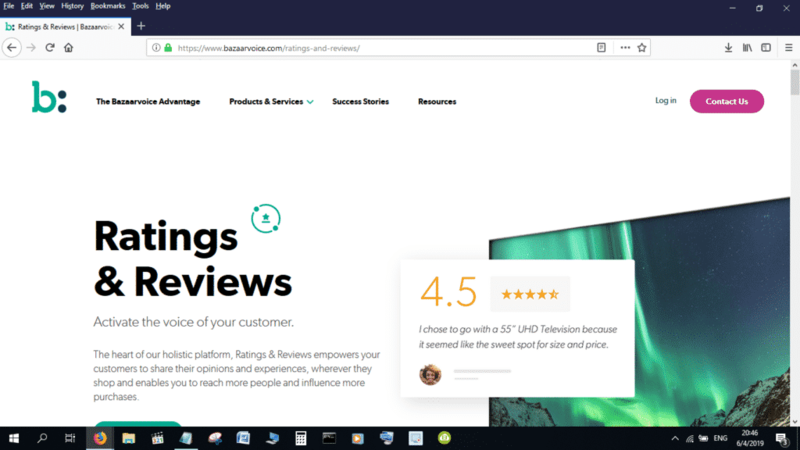 Why are star rating extensions important? The fact that you are reading this article probably means you are aware of the importance of online reviews as far as business growth is concerned. One of the major reasons why online reviews are important is that they are used by Google and other search engines as a source of data for rich snippets. Star rating extensions in particular, play the important role of serving as beacons of trustworthiness. People are much more likely to flock towards your products and services if they know that their peers have found satisfaction in their experiences with you and have thought it important to leave a review about your business. The fact that both Yotpo and Bazaarvoice hide their pricing makes them a bit terrifying for small businesses. To be frank, they both appear to be specifically geared towards large companies. 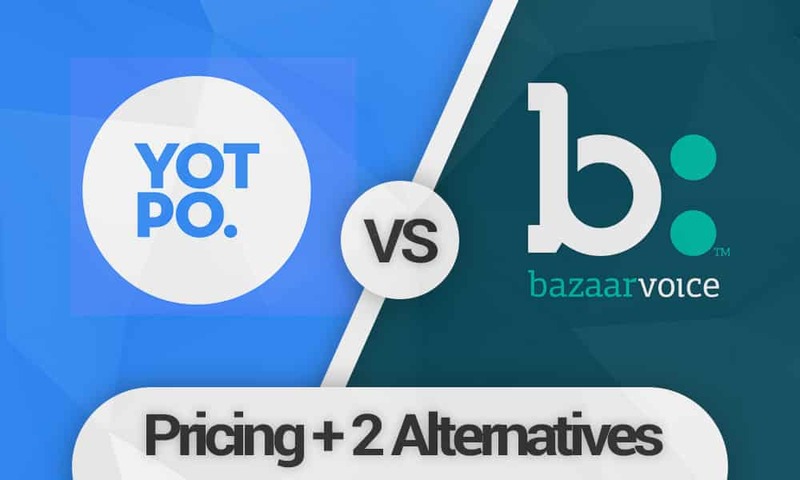 So, if you are a small company, you be better off looking at the Yotpo and Bazaarvoice alternatives that we give below. 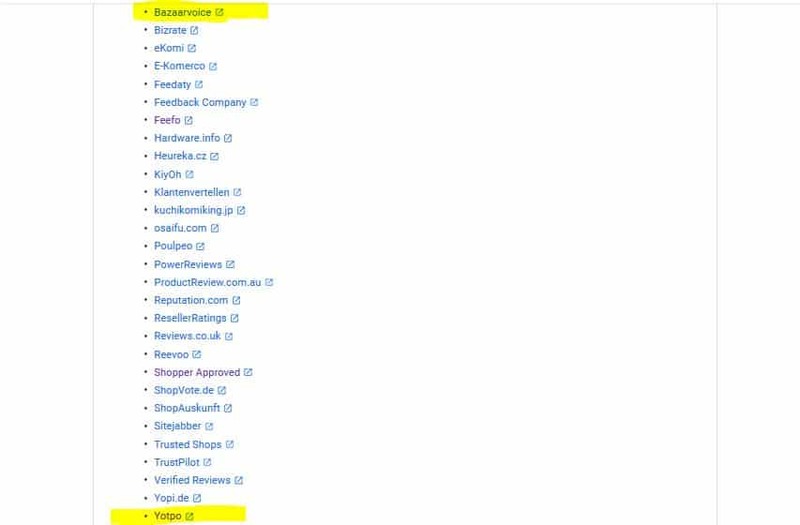 Shopper Approved is one of the best Yotpo and Bazaarvoice alternatives that we are always recommending to our readers. 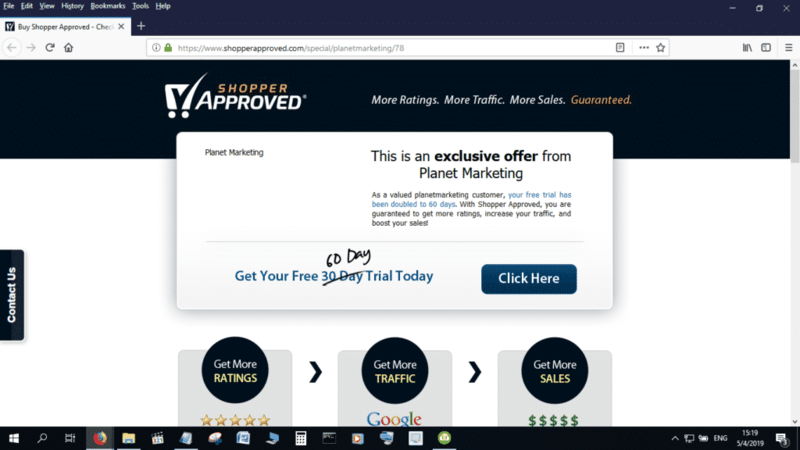 So, how much does Shopper Approved cost and how good is it, as far as gathering online reviews and pushing ratings into Google AdWords and Google PLAs are concerned? Shopper Approved charges beginning from $99 per month for the lowest plan. The great thing, however, is that you can get a BIG Shopper Approved discount by signing up using our link. The cheapest plan costs only $79/m when you use our link. Not only that, but you also get a total of 60 days absolutely free! Trustpilot is another great alternative to Yotpo and Bazaarvoice. Its major setback is that it does not offer month to month payments on its plans, the least of which stands at $299 per month. This gives you Google Seller Ratings, as well as Bing and Yahoo merchant reviews. 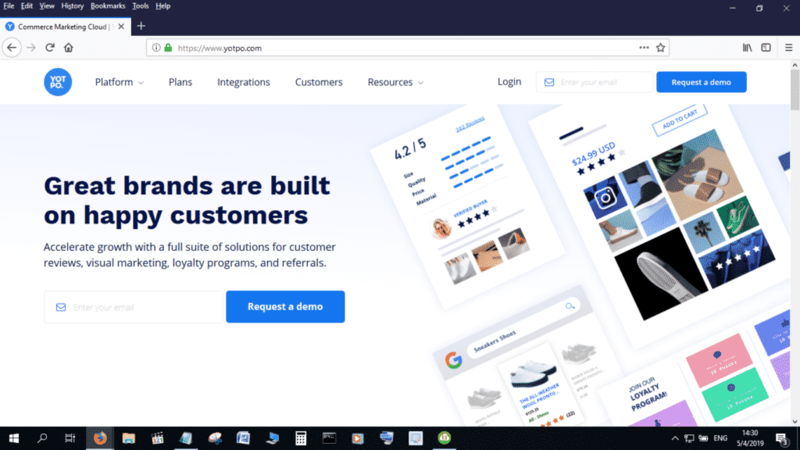 Obviously, Trustpilot is going to cost you more when compared to Shopper Approved, but should you be willing to try out the company, you can do so by following this link. Now, a parting word; whatever the company that you are going to end up settling for, don’t be afraid to haggle to get a better deal for your business. You will be surprised at some of the discounts that people out there are willing to offer to get you to sign up! Editors Note: So, what are you waiting for? Check out the table at the top for some of the best online review platforms that can be found out there! Disclaimer: We are affiliates of some of the companies that are mentioned in this article and stand to get paid should you sign up using our links. However, this article is based on our unbiased first hand experiences using most of the companies in this article.